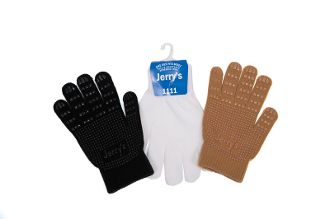 Knit Stretch Gripper Figure Skating Gloves for ages 7 and OLDER with gripper palms and fingertips. Choose from several colors. Add crystals for extra bling!